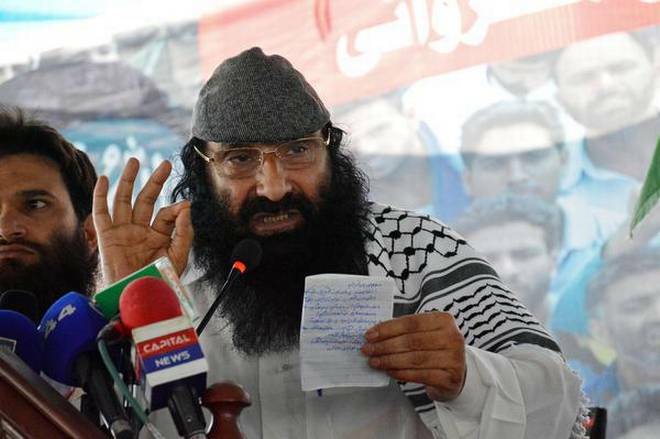 Hizb-ul-Mujahideen chief Syed Salahuddin’s eldest son Shakeel Yousuf was arrested by the Indian National Investigation Agency (NIA) on Thursday in connection with a 2011 case pertaining to alleged terror funding. According to Indian newspaper The Hindu, an NIA spokesperson said the arrest was made at Srinagar’s Rambagh area in a joint operation with the Indian Central Reserve Police Force and the local police. The NIA had questioned Yusuf on several occasions in the past one year but he didn’t show up for questioning after June 30 even after fresh summons. Shakeel works as a medical assistant at Sher-i-Kashmir Institute of Medical Sciences in Srinagar. He appeared before the NIA when it issued the summons in March. The investigation in the 2011 case involving Hurriyat leaders has picked up after it was briefly suspended when the Indian government announced the suspension of operations (SoO) in the month of Ramzan. Shakeel was allegedly involved in the transfer of money from Pakistan to Indian Occupied Kashmir (IOK) through hawala channels via Delhi. The money, the NIA believed, was used for funding “terrorism and secessionist” activities. In November 2017, the NIA arrested Salahuddin’s another son, Syed Shahid Yousuf. He was working in the agricultural department of the State government and is presently in the Tihar jail. The NIA alleged that Shahid used to receive funds through a US-based international wire transfer company from Aijaz Ahmed Bhat, another accused in the case who is absconding and based in Saudi Arabia.